When a buyer receives an item from you, they can choose to leave you a seller rating. The ratings range from 1-5 stars and include an optional comment, which is called a Love Note. While a buyer has 72 hours to accept their purchase, they can leave a rating at any time. They can also update it whenever they wish. You can see the average of all your ratings by going to My Closet Stats in the Poshmark app. Anyone can see your Love Notes from your closet’s About page. Love Notes that you receive and give are visible to users logged in through the mobile app. Unless the buyer leaves you 5 stars AND leaves a comment, only you can see the rating. This means that no one else in the app, besides you and the buyer, can see bad ratings or negative feedback. The buyer will only be able to see the rating that they gave you within their order history. 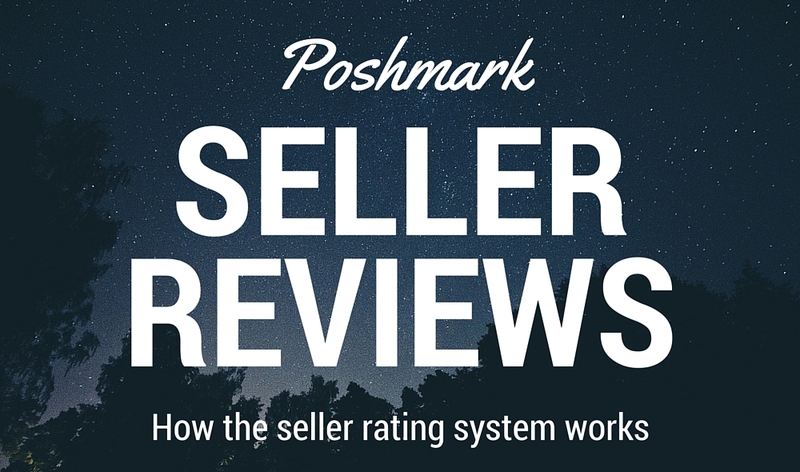 One caveat to that is that Poshmark support can access data on each person’s ratings. This can help them resolve any issues that come up between sellers and buyers so they can see if either of you have a history with negative experiences. Obviously, it’s a good thing that the 5-star ratings with comments are visible as those can help potential buyers feel more comfortable about shopping your closet. If they see that you have a whole lot of sales and little or no positive reviews, that might raise a red flag. So be sure to write accurate descriptions, interact politely if the buyer asks you any questions before buying, and ship their purchase with care. Negative or lukewarm ratings can help you improve as a seller. When the buyer leaves 4 stars or less, they can pick from the following improvement categories: item description, item cleanliness, packaging, ship time, seller responsiveness or other. If there was something the buyer was not satisfied with, you will know what to improve on in the future. Be sure to make any needed improvements right away so the next review will be stellar! Sometimes, there is no way to satisfy certain people, and they will leave negative reviews for no reason. When this happen, remember that no one else can see it. It’s not anything to be ashamed of. It’s ok to be frustrated for a minute, but don’t dwell on it. Just focus on making your next sale! Sometimes a buyer will accept the order or the 72-hour window passes, and they don’t leave a rating or any feedback. Don’t assume that they were unhappy! They may have completely forgotten or maybe it was their first time using Poshmark and they don’t understand how much sellers appreciate good reviews. It is totally fine to contact the buyer and politely ask if they would mind leaving a review. Tag the buyer in a comment on your own listing that was purchased. I prefer not to comment on the buyer’s listings in this situation because it ends up being irrelevant information in their closet. Also, they might not remember who you are or what they bought. Asking for feedback on your own listing that they purchased makes it very clear what you are talking about. If you also buy through Poshmark, you are bound to end up with something that just doesn’t quite fit you right or isn’t as flattering as you anticipated. Since this doesn’t qualify you for a return, your next best option is to re-posh what you just bought. You have a couple of options here. You can try to resell the item for the same price that you paid. And then you will be out 20% + shipping. Or you can try to raise the price to recoup all of what you originally paid. If you raise the price, you don’t want it to be super obvious that you just bought the listing yourself for a lower price. This would be a situation where you can leave the seller a 5-star rating and just don’t leave a comment with it. That way, the listing will not show up on your profile under Love Notes Given. Thanks Dominique! Good luck with your own website! This is a very interesting website. You provide very helpful information about the seller rating system. At the bottom of your post, I really like your links to “other posts you may like!” I have not seen the affiliate disclosure at the top of the page but for this website, it makes sense. Great piece on how to get the 5-star rating. You make good use of products links. “My favorite closets” is a nice touch. Your “start here” page is very well done because it is short and to the point. It makes me think that it would be very easy to get started. I was drawn to your “SUs and party hosts page because I was curious about SUs and now I know that it is an acronym for suggested users…brilliant! Thanks Juanita! You can find almost anything on Poshmark – it’s pretty amazing! Kiersten, your website is superb, and very professional. I struggle with that theme, initially but you use it beautifully. Congratulations. 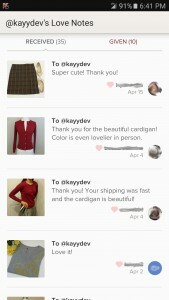 I am interested in PoshMark, as I have few designer items that can fetch me few bucks. Thanks Lanu! People tend to get so much more money from their designer brands when they list them on these online shopping portals like Poshmark. I’m about to finish analyzing the latest Poshmark trends report and will be posting it soon.